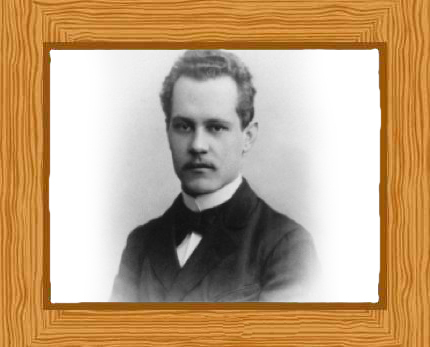 Arnold Sommerfeld is one of the pioneers of quantum and atomic physics. He was a brilliant German theoretical physicist who also educated many students in physics. He is known for introducing the azimuthal quantum number (2nd quantum number) and the spin quantum number (4th quantum number). He also pioneered the X-ray wave theory and introduced the fine-structure consonant. Arnold Johannes Wilhelm Sommerfeld was born on the 5th of December in 1868 in Konigsberg, in what was the Province of East Prussia (now known as Kaliningrad in Russia). His father was Franz Sommerfeld, a physician, and his mother was Cäcile Matthias. He attended high school from 1875-1886 at Altstädtisches Gymnasium, Königsberg where he excelled in all subjects. Sommerfeld continued his education at Konigsberg’s Albertina University studying mathematics. After obtaining his degree he remained at Albertina to study for his doctorate. For his thesis Sommerfeld’s advisor was Ferdinand von Lindemann, a renowned mathematician. Sommerfeld was also taught by the mathematicians David Hilbert and Adolf Hurwitz, and physicist Emil Wiechert. Sommerfeld was 23 when he received his Ph.D. in 1891. After receiving his doctorate, Sommerfeld enrolled for a teaching diploma and passed the national exam in 1892. He then served for a year in the military and completed the obligatory service in 1893. Sommerfeld continued with voluntary 8-week service for eight more years. In 1893, Sommerfeld obtained a position as a teaching assistant at the Mineralogical Institute. In 1894, Sommerfeld was given the chance to be Felix Klein’s assistant. Klein was a German mathematician known for his works on non-Euclidean geometry and complex analysis. During Sommerfeld’s time with Klein he took notes of Klein’s lectures. Sommerfeld’s thesis on the mathematical theory of diffraction, which then allowed him to lecture, was completed while he was working for Klein in 1895. This dissertation allowed him to be a Privatdozent (unpaid recognized teacher) at Gottingen. Sommerfeld lectured on a wide range of subjects in mathematics and physics including probability and lectures on the partial differential equations of physics. Together with Klein, they wrote the 4-volume “Die Theorie des Kreisels” on the theory of gyroscopes. This compilation took 13 years to complete, from 1897 to 1910. In 1897, Sommerfeld taught at a mining academy at Clausthal and now, with sufficient income, married Johanna Höpifiner the same year. They had four children during their marriage. Three years later in 1900, Sommerfeld was appointed to the Chair of Applied Mechanics at the Königliche Technische Hochschule, Aachen. During Sommerfeld’s time in Aachen, he developed the theory of hydrodynamics (the study of liquids in motion). In 1906, Sommerfeld was delighted to become the director of Theoretical Physics Institute at the University of Munich. He spent over 32 years in Munich, teaching general as well as specialist courses. His lectures included the mechanics of deformable bodies, optics, electrodynamics, thermodynamics, mechanics, partial differential equations in physics, and statistical mechanics. He proved that X-rays were waves using crystals as three dimensional diffraction gratings. During his time in Munich, he came into contact with Albert Einstein’s special theory of relativity. At this time, Einstein’s theory was not yet widely accepted, and Sommerfeld’s mathematical contributions helped the acceptance of this theory. Sommerfeld was also one of the main proponents of quantum mechanics. He improved Niels Bohr’s model of the atom by replacing circular orbits with elliptical orbits with the Sommerfeld–Wilson quantization rules in 1915. He discovered the Sommerfeld fine-structure constant a year later. This is a constant showing the strength of the electromagnetic interaction between elementary charged particles. In 1918, Sommerfeld became Albert Einstein’s successor as the chairperson of the Deutsche Physikalische Gesellschaft (DGP). Sommerfeld helped establish the journal “Zeitschrift für Physik” in 1920, a journal where physics research articles were published and peer reviewed. In 1928-1929, he travelled the world and visited India, Japan, China, and the United States. He was known as a great theoretician and apart from his irreplaceable and timeless works in physics, he also had contributions in other fields—most notably in the classical theory of electromagnetism. He received the emeritus status from Munich on the first of April in 1935. He was the recipient of several medals including the Max-Planck Medal and the Lorentz Medal. Amazingly, he was nominated for the Nobel Prize over 80 times, but never received the award. He died in an automobile accident in Munich on the 25th of April in 1951, aged 82.